Learn guitar building techniques and develop the skills you’ll need to build a quality guitar. I just don’t want to show you how to slap a guitar together. I want you to be able to build a guitar that you will be satisfied with. Learn to build a guitar that looks good, sounds great, and is not a struggle to play. To do this you will need some knowledge and some real skill. I have accumulated over 40 years of experience working the in craft. A good part of it professionally. In all that time I have learned a few things. Benefit from my experience. Developing some real skill will improve your results and help you to build a better guitar.Learn guitar building in a holistic way. Get the knowledge and develop the skills you’ll need. One without the other will not get you where you want to go. Additional instructional content and downloadable drawings are available to members. Membership is Free! Sign up now. All my instructional videos are now available in my new online subscription service. Enjoy the instructional content. I had fun putting it together. Want more videos & drawings? Membership is Free! 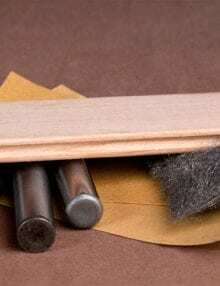 In this section you will find information on how to set up your shop for guitar building. Get advice on shop layout and find out what you need for benches, storage, and safety. The videos geared toward basic to intermediate level woodworkers or guitar builders. See topics on the guitar building shop. 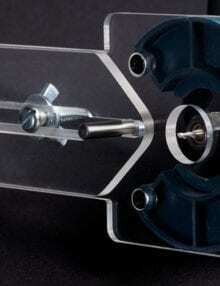 In this section you will find information and recommendations on hand tools, power tools, and equipment. Learn basic skills such as how to sharpen your tools. There are videos for members with useful information on proper care, maintenance & optimization. 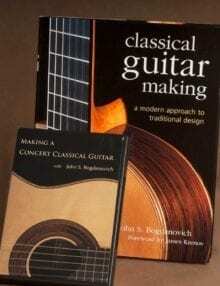 Find topics on guitar building tools. 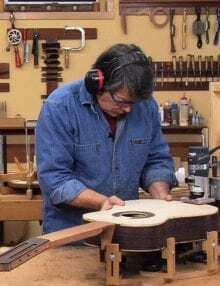 In this section you will find videos that explain and demonstrate some basic guitar building techniques such as laminating, doming the top and back, making the solera and much more. Learn guitar building techniques – watch the videos. The wood you decide to use has more to do with the sound of the instrument than anything else. 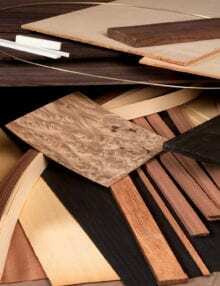 Learn about the wood used in guitar building and get some really useful information on wood in general. Learn about wood. Be sure to also check out the blog posts on wood. Become a member and get access to drawings for a variety of things from workbenches to jigs and everything in between. Periodically new drawings will be added. Spruce up your shop and make you projects go more smoothly. Download the free drawings. Get questions answered on any topic related to guitar building, woodworking, tools and equipment. Participate in discussions with myself and other builders on any number of topics. You can even create your own topic. Start a discussion in the forum.